A Broadway icon is coming to FX. 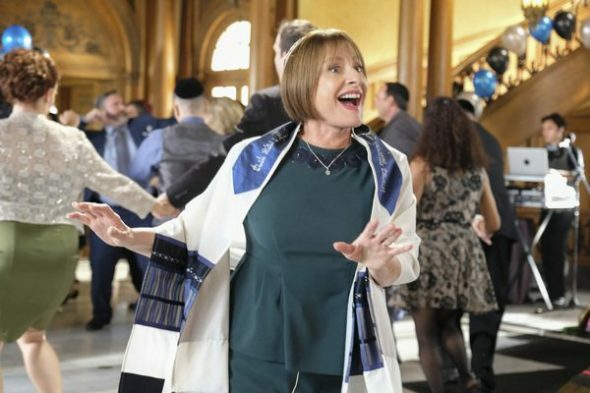 Deadline reports Patti LuPone will guest star on season two of Pose. From Ryan Murphy, the drama series revolves around several segments of society in New York City in the 1980s — ball subculture, Trump-era excess, and the downtown social and literary scenes — as it explores people from various walks of life. The cast includes Evan Peters, Kate Mara, James Van Der Beek, MJ Rodriguez, Dominique Jackson, Indya Moore, Hailie Sahar, Angelica Ross, and Billy Porter. During a recent panel, Ryan Murphy revealed LuPone will join season two of Pose. He didn’t reveal any details about her role, but the co-creator did says the new season of the FX series will jump from the 1980s to the year 1990. What do you think? Have you seen Pose? Will you watch season two? More about: FX TV shows: canceled or renewed?, Pose, Pose: canceled or renewed?